Of all the recipes I share, I love the ones that aren’t actually recipes. In fact, I love the meals that come together quickly, focus less on the exact measurement and more about what you have on hand. Moreover, since these meals can be so simple, it sometimes feels silly for me to write them down. For example, this asparagus and egg dish. In this case, you fry a few asparagus stalks, crack an egg or two in the pan with a bit of cheese and you’re done. It’s the perfect, quick meal for breakfast, lunch, or even a light dinner. 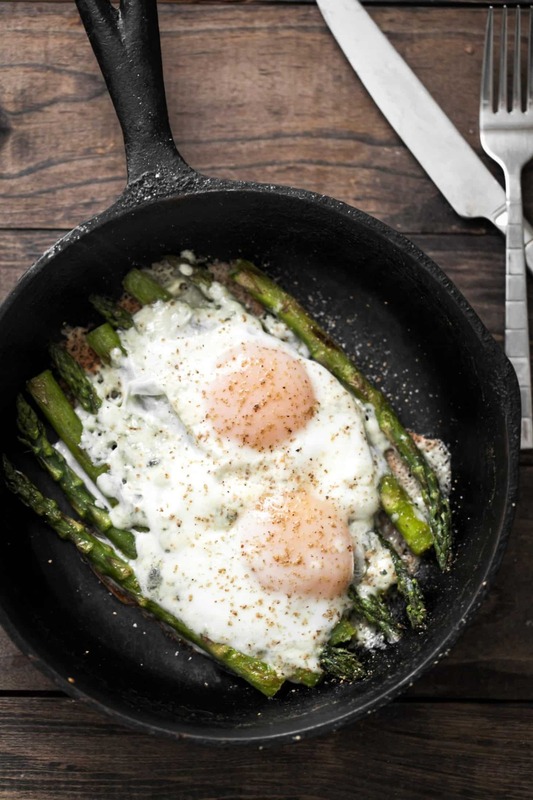 A spring breakfast at it’s easiest, this asparagus and eggs dish comes together in less than 20 minutes and can be doubled or tripled to feed more people. Prepare the asparagus by cutting off roughly 1 inch of the bottoms of the spears. Heat a skillet over medium heat. Then add the olive oil, followed by the asparagus and salt. Shake skillet to coat asparagus and cook until tender, about 4 to 5 minutes. 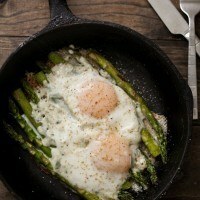 Spread asparagus out and crack eggs over the asparagus. Sprinkle cheese over asparagus and eggs. Reduce heat to low and cover. Let cook until egg whites are firm and yolk is done to desired consistency, 8 to 12 minutes. Serve with freshly cracked pepper. 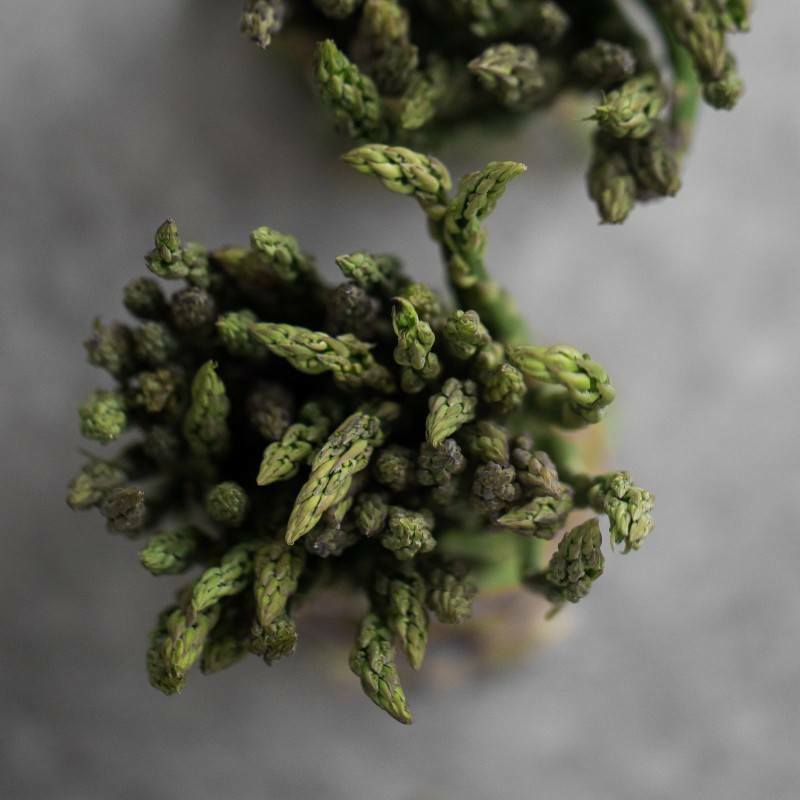 Tips & Tricks: Since the asparagus continues to cook with the eggs, you could slightly undercook the vegetables before adding eggs if you prefer a crisper asparagus. Since this recipe requires few ingredients and minimal time, it’s easy to add in a few extra items or swap for things you might have on hand. Cheese: Any cheese that melts is perfect because as it melts, parts crisp up in the olive oil. I’ve also been known to use a veg-friendly parmesan, fresh mozzarella, or a solid sharp cheddar. Brassicas: I like thin, fresh asparagus for this recipe. However, if it’s not in season, some of the brassica vegetables like broccoli or Brussels sprouts are great substitutes. Serving: Serve with a simple side salad or grains for lunch or with toast for breakfast. In general, there are quite a few options depending on what you’re in the mood for at the time. Such a fab skillet meal! Love the simplicity to this! Hahaha, cute story.. it happens to us all though. Love the ease of this meal, do you think it would work successfully with other vegetables as a base? you just described my life to a tee. This is brilliant—I will make it tonight! That sounds great!!! I love eggs for protein – all day long. And if it makes you feel better – a few weeks ago I went to my doctor’s appt, got there, and the woman told me that my appt was the following week. Whoops! This is just what I have been looking for I love eggs and I am running out of ideas how to have them but this looks so perfectly perfect for lunch or a late breakfast. Yum! Just made this for dinner. It may be my dinner the next few days! Outstanding! I have been following your blog from time to time. Every time I return and browse around I always get so inspired, especially to make some of these skillet dishes, with all good stuff and runny yolks, it is totally my kind of food! This dish looks so delicious, and it pretty much sums up the simplicity of my own eating preferences the last month. I love your blog, pictures, atmosphere and the personal touch you always add! Thanks for inspiration and good food karma! I’ve been there. I recently showed up for a doctor’s appointment a day early. Unfortunately they couldn’t see me, so I had to come back the next day. I love how a simple egg can turn practically anything into a meal. This looks wonderful. Oh jeez, I totally did that once when I was supposed to pick up a friend from the airport! I didn’t have a cell phone at the time, and I showed up a day late. I still feel bad about it. I would never have thought to make a dish like this – so simple, yet brilliant. Love your recipes and photos. Thanks! It’s happened. I made this for supper tonight and it was PERFECT!!!! I have a few recipes like those.. for days like those.. maybe thats today. I Just tried to type my whole comment in the name field… duh! My kids are picky eaters, but this recipe! They want me to make every Saturday!!! print out! Thank you so very much. You just solved my ‘what will I have for dinner tonight’ question! I think I’ll put a thick slice of whole grain toast on the bottom to soak up the runny egg yolk. Thanks!! I made this for breakfast a few minutes ago, and loved it. I used about half of the blue cheese that you suggested, and the dish still came out deliciously! Thanks for the inspiration! 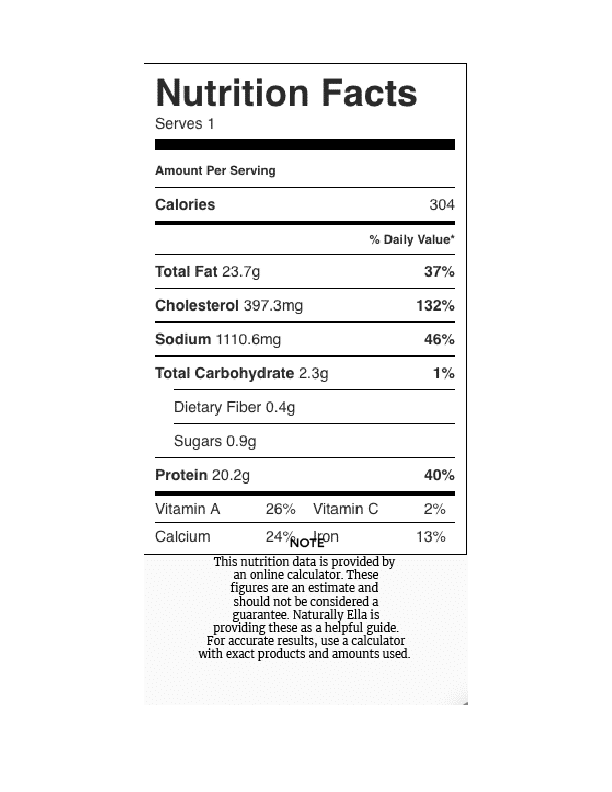 Just had it for breakfast and absolutely loved it ? This was surprisingly really good! The fact that it’s healthy fast and so easy makes it even better. Definitely will be making this again. Thanks for the idea! My husband and I had this for breakfast this morning. So easy and delicious! I used queso fresco. Yum! I like to put cayenne pepper on the eggs before I put the lid on, to add some spiciness! This was light and delicious. It definitely made it to our weekly breakfast menu. The asparagus was cooked to perfection. I did overcooked my eggs so I’d have to play around with the times. I left them for 10 minutes so maybe I’ll do the 8 or even 6-7 (love runny eggs). It was also my first time trying goat cheese. I gotta say I was surprised I liked it. Thank you, for sharing. I picture this dish in a fancy restaurant somewhere.